Too many mortgage lenders played it fast and loose in the lead-up to the crash, then wound it up tight when the inevitable struck—and in roughly the decade since, too few have loosened their grip. A research paper recently published by the Urban Institute classifies today's credit environment as "extraordinarily tight"—so tight, in fact, that more than one million mortgages were lost in 2015, the majority of which would have gone to homebuyers with credit scores below 660. "Mortgage lenders are taking less than half the credit risk they were taking in 2001, a period of reasonable lending standards," writes author Laurie Goodman. "Tight credit means that in the future, fewer households will have the opportunity to build wealth by owning their home, contributing to growing economic inequality." The paper illustrates stark differences in the lending landscape between 2001 and 2015. Upwards of 5.7 million home sales occurred in 2001, while some 5.5 million occurred in 2015. In 2015, however, mortgages only totaled 3.5 million, compared to 4.6 million in 2001. The former is a 4 percent decline; the latter, 32 percent. What's more: In 2001, more than 30 percent of borrowers had credit scores lower than 660—a share that has dropped to less than half, at 14 percent in 2015. Access to credit has not only remained narrow, but has also become closed off completely to those with sub-par scores. Why have lenders been reluctant to relax their standards? According to Goodman, "credit is very tight in large part because originators are putting credit overlays on top of the Fannie Mae, Freddie Mac, and FHA underwriting box"—in other words, imposing a second set of rules. "Why would originators knowingly drive away business? Because they are concerned that the costs of producing and servicing mortgages that are less pristine are higher than what they can earn on the mortgages," Goodman writes. Lenders are apprehensive specifically about the cost of servicing—as well as the possibility of having to repurchase—delinquent mortgages, and liability, especially as it pertains to the False Claims Act. 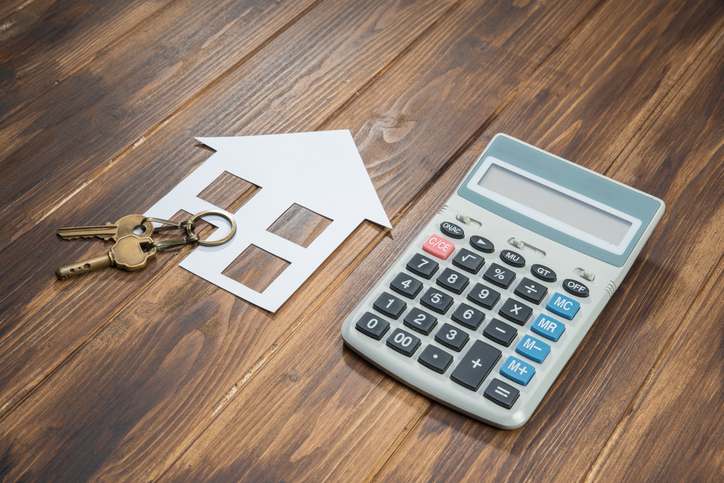 To date, the Federal Housing Finance Agency (FHFA) and Fannie Mae and Freddie Mac have made more strides in alleviating those concerns than the Federal Housing Administration (FHA)—a problem, because lower-income homebuyers rely more on FHA-backed mortgages. "The inability of the FHA to match the GSEs' progress has a particular impact on access to mortgage credit for low- and moderate-income borrowers, most of whom cannot put down a large down payment," writes Goodman. Though the FHA did lower mortgage insurance premiums in 2015, more action is needed. "Until the FHA resolves the issues causing lender overlays, it is hard to see how the credit box can open considerably for such borrowers." Crunched credit has broader implications, as well. Minorities are set to overtake whites in household formation in the years ahead, led primarily by Asian and Hispanic populations—but minorities overall have lower credit scores and incomes. "Given that the composition of new homeowners is skewed to Hispanics and nonwhites, who have lower credit scores and have less income and less wealth than their non-Hispanic white counterparts, the tight credit box will inhibit homeownership even more going forward than it has in the past, unless we do something to correct it," writes Goodman. "Homeownership is the traditional way that households build wealth; choking off this important wealth-building channel will likely contribute to growing economic inequality." In 2015, how could 5.5 million homes be sold, some financed, with only 3.5 million dollars according to your figures in this article? Just realized that the figures reflected the number of mortgages only, which apparently concludes that there had to be more cash buyers, and we have no idea how much money was borrowed by the remainder of buyers in order to complete their purchase. The author of this article is clearly advocating for our return to the idiotically weak government advocated lending standards that led to the previous collapse of the housing and mortgage market. The sub prime mortgage customers can better serve themselves by reducing their birth rate to reduce poverty, educating themselves toward a higher income and upping their credit score than by being given mortgages that will again be in default in no time. One real estate disaster was enough so enough of your stupid advocacy.